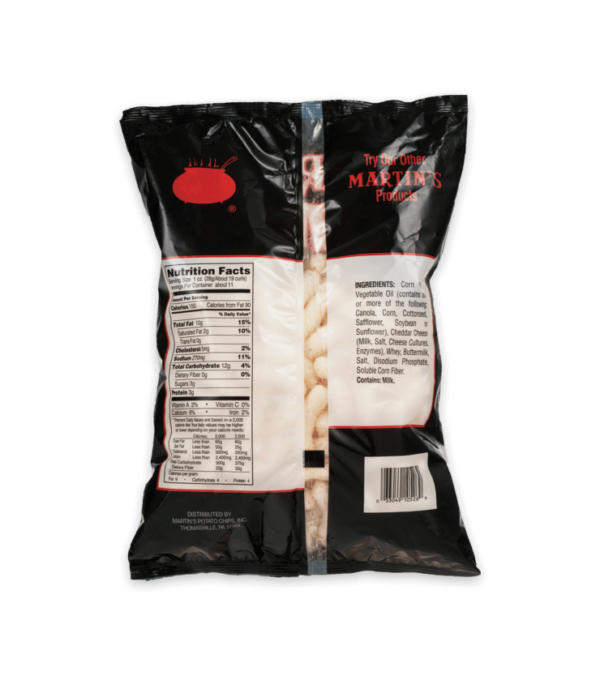 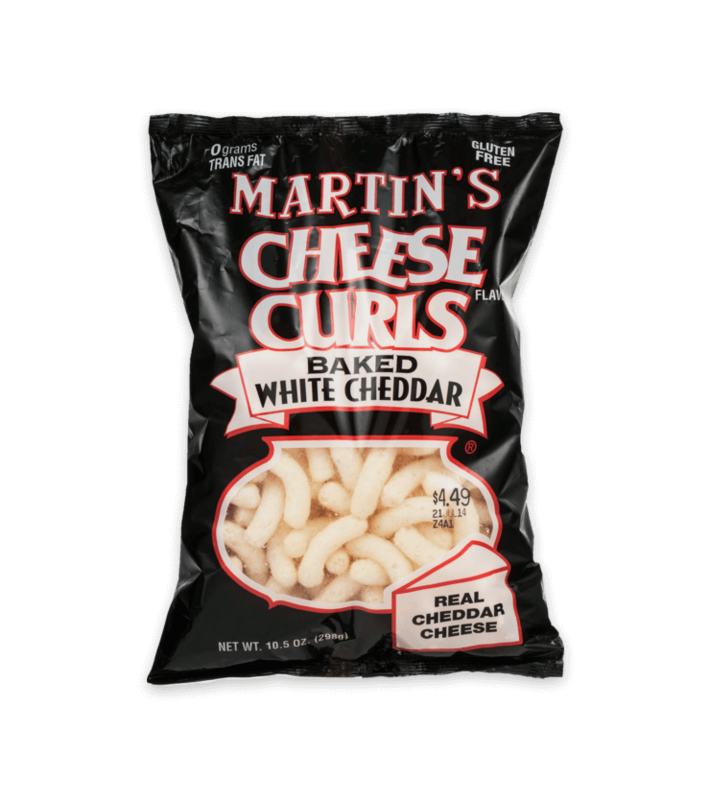 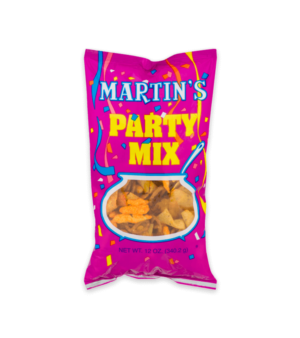 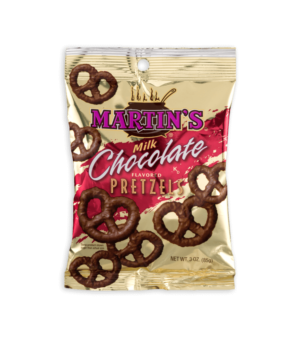 Martin’s traditional cheese curls but with a little flavor twist. 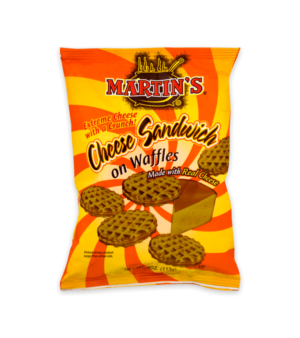 Baked with white cheddar cheese to give the cheese lover something truly special to snack on. 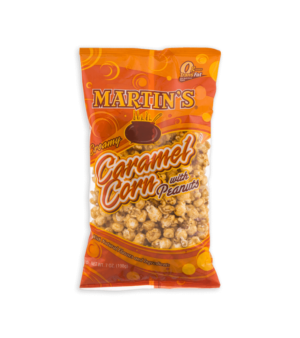 White Corn Meal, Vegetable Oil (Contains One Or More Of The Following: Canola, Corn, Cottonseed, Safflower, Soybean, Or Sunflower), Cheddar Cheese (Milk, Salt, Cheese Cultures, Enzymes), Whey, Natural Flavors, Buttermilk, Salt, Disodium Phosphate.